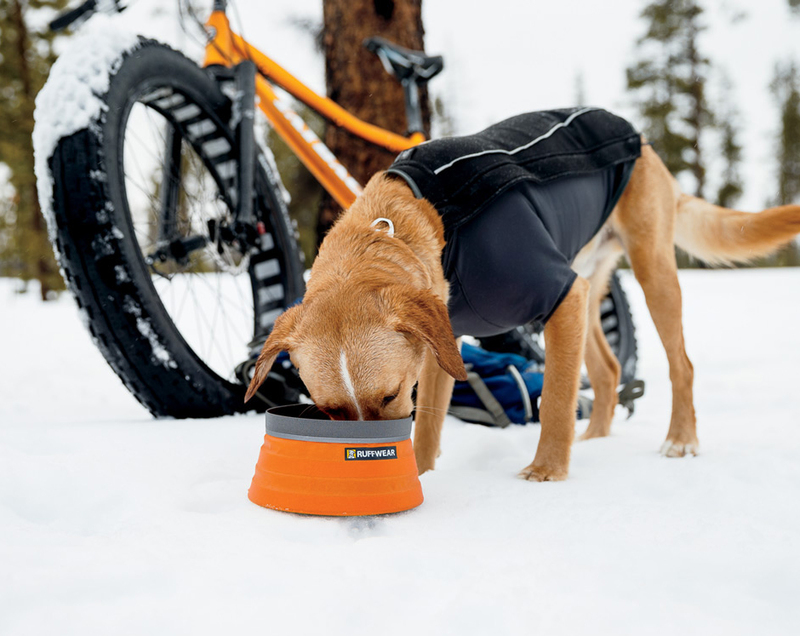 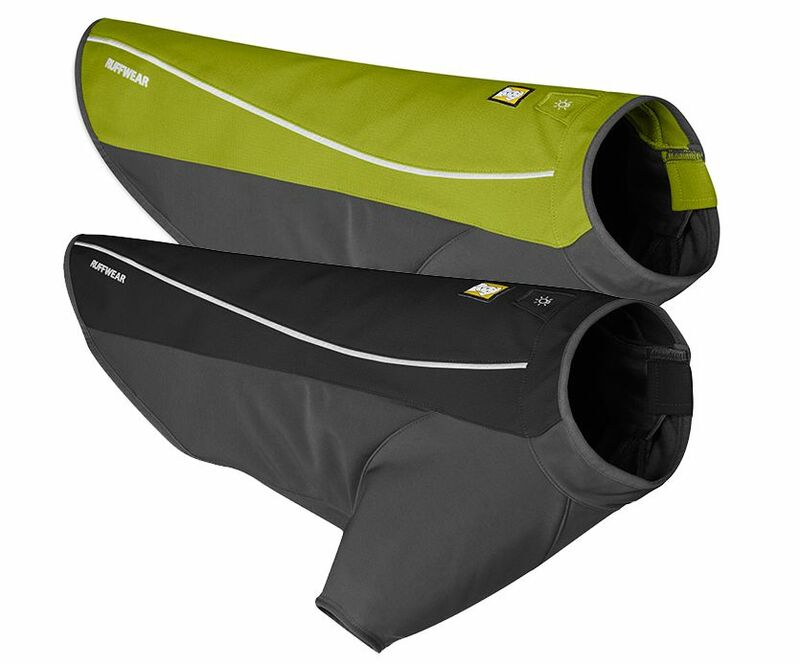 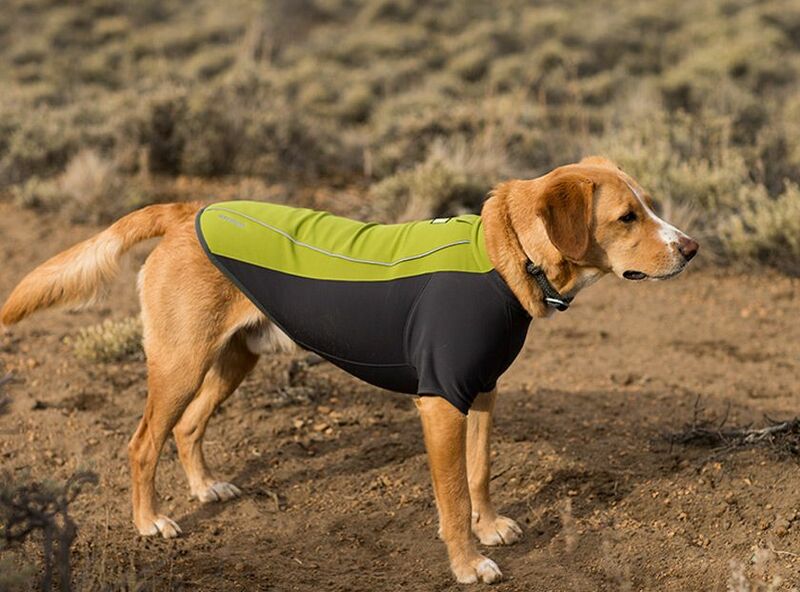 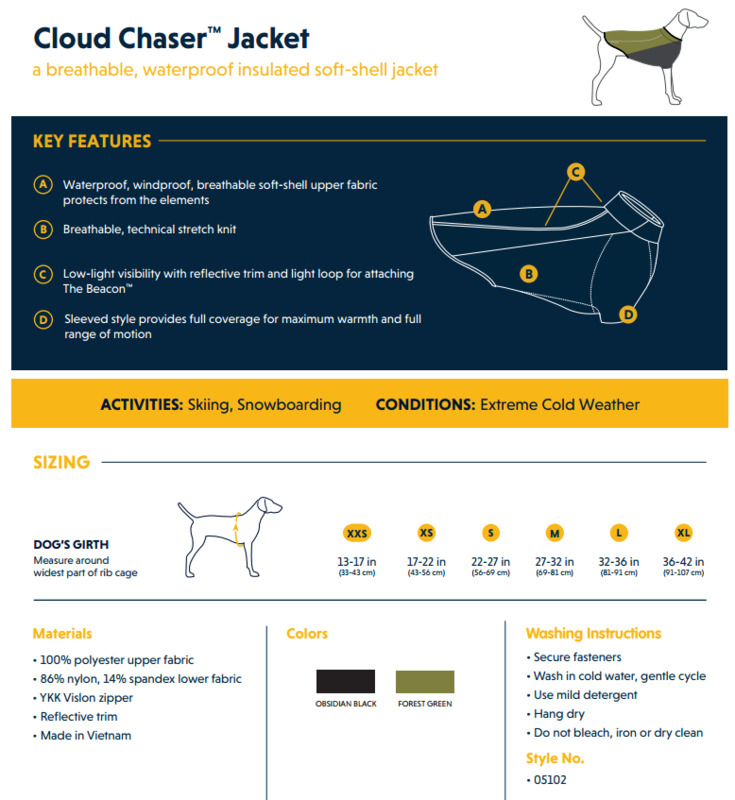 The Ruffwear Cloud Chaser™ is a soft-shell dog jacket that helps you and your pup extend activities in inclement weather, protecting against rain, snow, wind and cold. 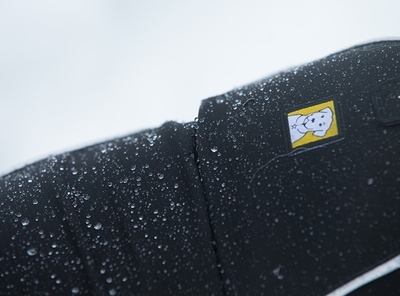 A convenient zipper on the left side of the coat allows for easy on/off. 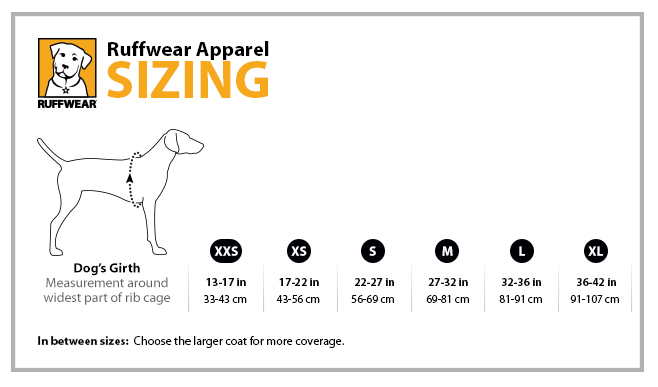 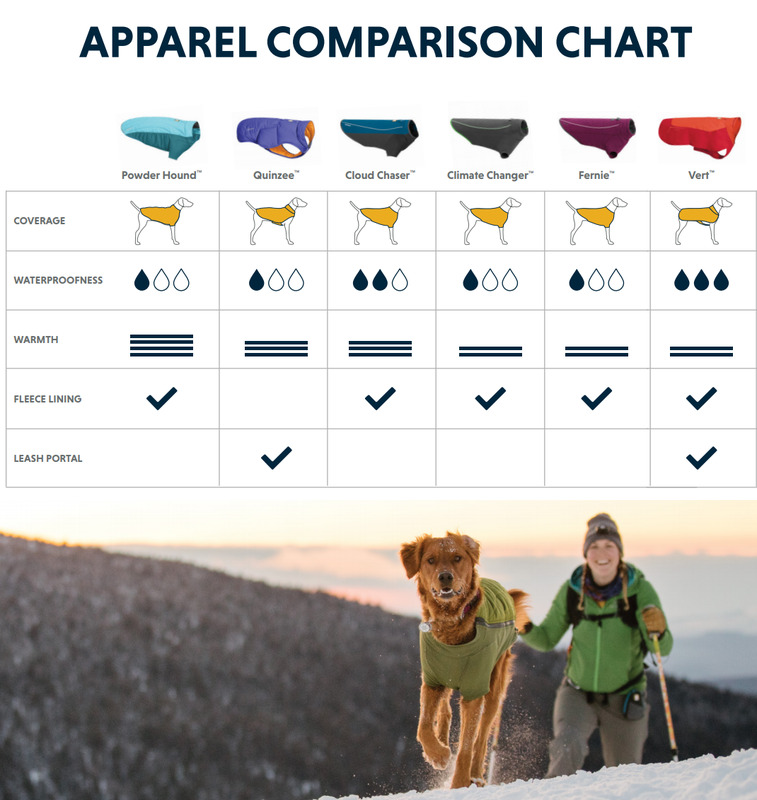 Check out our Ruffwear Fit Guide to help find the proper fit for your dog.